Turner Broadcasting announced that a fourth series of award-winning children’s TV show LazyTown has been greenlit. Acquired by Turner in September 2011, LazyTown is the only global entertainment brand dedicated to promoting health in a fun and entertaining way to young children and their families. A brand new third series of the TV show (comprising 13 new half-hour episodes) has just been produced. It premieres this spring in the UK and rolls out worldwide throughout the rest of the year. 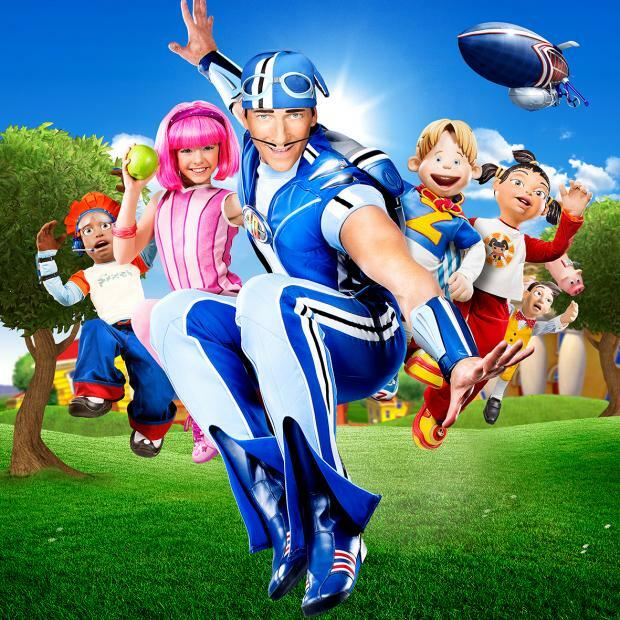 LazyTown charts the exploits of superhero Sportacus and his resourceful young friend Stephanie as they attempt to foil the madcap plans dreamt up by arch rival Robbie Rotten to make their town the laziest in the world. Filmed in high definition and with a clever mix of live action, puppetry and CGI, the new series will be supported comprehensively both on and off-air, including through a wide-ranging licensing and merchandising rollout, high level health-related promotional campaigns and online games. I'm really surprised that there's been no discussion at all about Lazytown season 3. I knew that episodes had been filmed and were airing this year but lost track of the show. I was looking at TVguide.com and noticed the new episodes were airing on the kids' cable network Sprout. The new episodes are airing, albeit slightly altered, on Sprout because CBS does not have the rights to air the new episodes yet. This article is also rather old, since S4 has been in production and Stefan confirmed that he finished filming his scenes awhile back. Yeah, the article was dated January 2013, but it was news to me! There's been NO news (or posts) here on the Lazytown Livejournal in almost one YEAR. I don't know about tumblr, but like I said, the Get Lazy forum is very active and up to date, namely by the fact that most of the group there is scattered across the globe. As for here, no, I don't think we're going to get that active anymore when three of the main admits are pretty much MIA. I had no idea LazyTown 3 was even airing. NickJr is not showing any of the episodes any more. Maybe ABC might air it. The new series has aired? Dammit, I didn't know that. I'm going to have to look for it. Season 3 of Lazytown has been airing on the Sprout cable network. Do a search on TVguide.com and you'll see the episodes and showing times. I guess I'll go look on the torrent sites for the new Lazytown episodes. What a pain!